Discover how the Lord can use even the smallest steps to lead us in the right direction. With her signature ability to blend biblical truth with real-life takeaways, Liz Curtis Higgs examines 31 selections from Proverbs - then offers a unique one-minute "do-it-now" challenge at the end of each chapter. 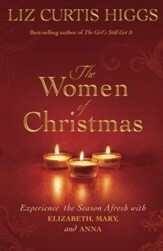 For gift giving, devotional reading, or small-group study. Discover how to apply the ancient wisdom of the book of Proverbs to your modern life with this daily devotional and small-group Bible study guide. And Your Path Is Clear. Wherever you are on your journey, here is the wisdom you need for the road ahead. Maybe youre stuck and want to move forward. Or you feel anxious and long to know whats next. Or youre ready for an uplifting reminder that God holds your future in His loving hands. Chosen by hundreds of women as their favorite verses in Proverbs, these thirty-one nuggets of truth reveal how faithfully God honors His promise, "I will instruct you in the way of wisdom and lead you along straight paths" (Proverbs 4:11). Best-selling author Liz Curtis Higgs examines each word with care and adds a sprinkling of humor through her honest stories and personal examples. For each verse youll find a unique "One Minute, One Step" challengea do-it-now task that requires one minute or less. Youll soon discover how practical and meaningful the book of Proverbs is as you apply its ancient wisdom to your thoroughly modern life. 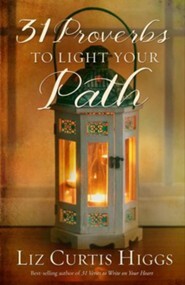 With a study guide included, 31 Proverbs to Light Your Path is a daily devotional and a small-group Bible study, wrapped in a beautiful gift book brimming with encouragement! 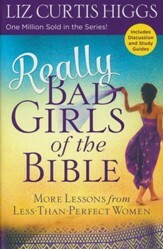 Liz Curtis Higgs is the author of 26 books, with more than 3 million copies in print, including her best-selling nonfiction series, Bad Girls of the Bible, Really Bad Girls of the Bible, and Unveiling Mary Magdalene, and her Christy Awardwinning historical novel, Whence Came a Prince. A columnist for Todays Christian Woman and an accomplished speaker, Liz makes her home in Louisville, Kentucky, with her husband, Bill. "Liz Curtis Higgs has a contagious passion for the Word of God, something you see so beautifully in play in 31 Proverbs to Light Your Path. Practical, well-researched, and full of poignant stories, this book will empower you to live in light of Gods wisdom." 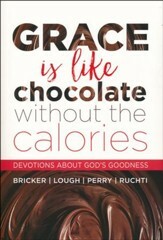 "Truly a devotional treasure. 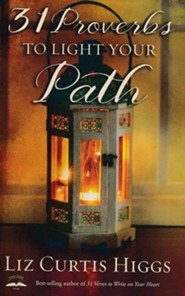 In 31 Proverbs to Light Your Path, Liz gently leads us through a series of proverbs, unpacking them with depth and insight as she shares discoveries from her own journey and offers ideas for personal application. This book reminds us that Proverbs is much more than a collection of pithy insights; it is a rich well of wisdom and revelation for everyday life. Keep it on your bedside table." "For most of my life, Ive prayed one single prayer over and over: God, grant me wisdom! Even as a child, I knew wisdom to be my lamp in the dark, a needed comfort while trying to find my way through a complicated life. 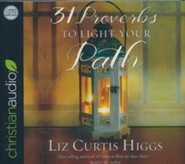 In 31 Proverbs to Light Your Path, Liz Curtis Higgs mines rich biblical text to reveal the brightest of lights, thirty-one truths with enough wattage to help you and me walk through the most difficult of nights. Even better, she comes alongside and takes the journey with us." 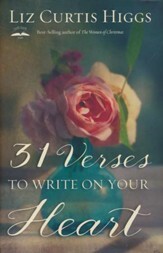 "With a delightfully fresh approach, 31 Proverbs to Light Your Path illuminates familiar passages, and Liz makes the journey through these words of wisdom both personal and practical. Many books focus on general truths in Proverbs, but Liz goes word by word, and this digging turns up plenty of new treasures along the way. This is a book Ill gladly return to again and again." "I absolutely love how Liz Curtis Higgs writes with clarity, tenderness, truth, humor, and depth. As in her other books, Liz uses careful study of Gods Word to reveal the nuances of the original Hebrew in the selected scriptures. Formatted for both personal and group Bible study, this is not a read-only-once book. Each writing is full of richness that will have the reader discovering new insights with each reading. The "One Minute, One Step" challenges are practical, eye-opening, and sometimes convicting. You will come away from this book with a greater understanding of the character and goodness of God and how our lives can reflect His truth." I'm the author/artist and I want to review 31 Proverbs to Light Your Path.